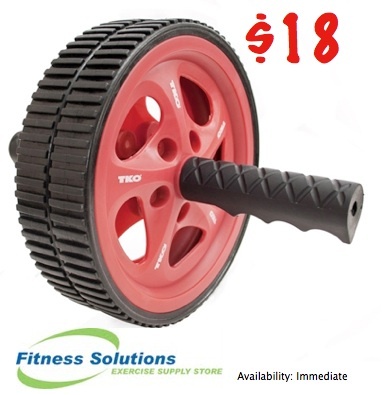 TKO's Extreme Training Double Exercise Wheel is a great and easy way to get in shape and stay that way. It has two molded plastic disks on a steel rod that is built to last, with comfortable grips to keep your hands from slipping or getting sore. This exercise wheel is an excellent way to strengthen your arms, shoulders and back during your workout routines.